Welcome to the second post in my new Stupid Simple series! This is a series all about super easy ideas from food to home. The recipes won’t require much measuring or even writing things down and are often more inspiration or idea than straight-up recipe to follow. Last week I introduced Chicken Salad on Apple Sandwiches, and this week it’s Ham and Cheese Kolaches. While it may sound like a sneeze, the word kolache (pronounced cah-LA-chee or co-LA-chee) is breakfast food here in Texas with Czech roots. Before moving here, I tended to think of Texas as the wild west with some influence from Mexico. But there are large pockets of Czech and German areas in our state that have had widespread cultural impact. A kolache is a Czech pastry, traditionally made with sweet white bread with a fruit topping or filling. Poppy seed is another traditional filling. But as things tend to do when brought new places, two cultures begin to blend, often creating something new. In Texas people say “kolaches” when in Czech, “kolache” is actually plural. 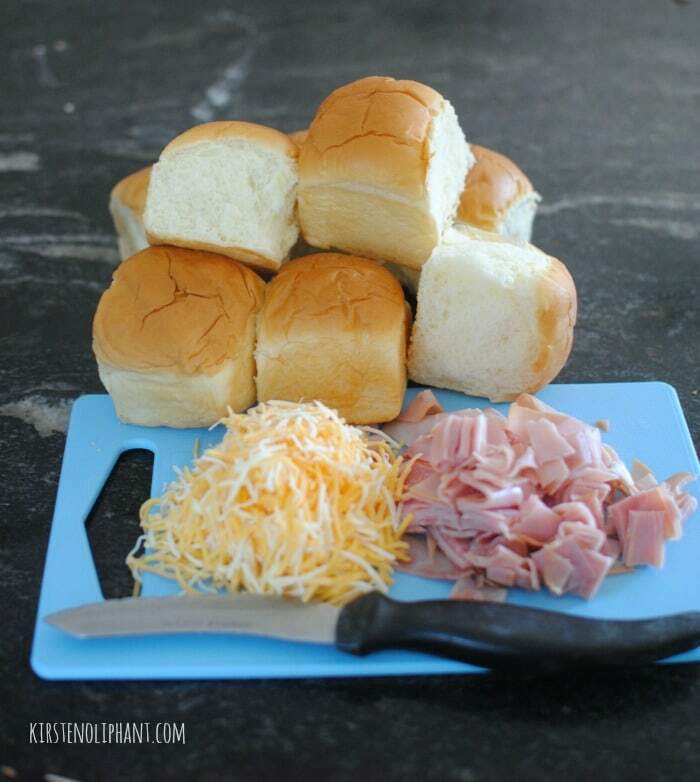 We also tend to go big and go meat-ful, so if you go to a donut shop and order a kolache, you will most like be getting a sweet bread roll with ham or sausage, cheese, and maybe even jalapenos inside. There are scattered Czech bakeries around, and they will label these meat filled buns as pigs in a blanket, a term more widely known in the US. For a much fuller and richer history, you can read about them at the History Kitchen. Most Saturday mornings, we drive to a local donut shop and order kolaches, the favorite in our family being ham and cheese. While it’s on my to-do list to fine-tune my own from-scratch recipe, the ones I’ve seen so far require lots more work than I want to put in right now with three little ones climbing my ankles at 7am for breakfast. 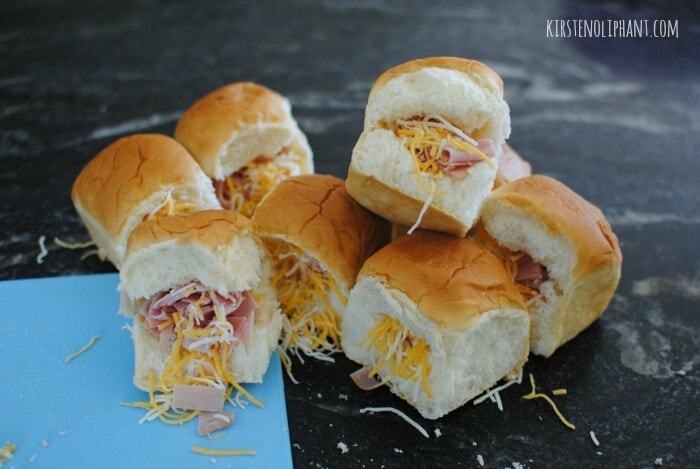 King’s makes a fabulous Hawaiian sweet roll that resembles the taste and texture of the best kolaches. I used a colby jack shredded cheese (though mozzarella or monterey jack would work as well) and diced deli ham. Simple cut a slit in one side of the roll without fully severing the way you would if you were making a sandwich. 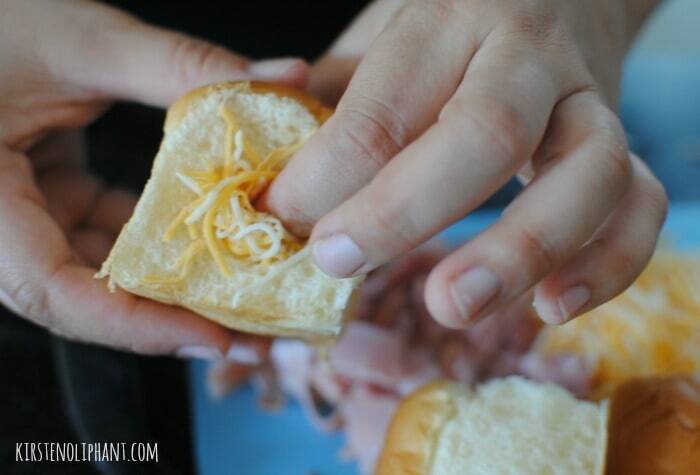 You can use your finger or the knife to sort of hollow out some space, and then stuff the ham and cheese inside. If you want to be REALLY stupid simple, put two in the microwave for about 45 seconds. Otherwise, cover with foil and bake at 350 for about 15 minutes until the bread is soft and warm and the cheese is melt-y. These aren’t quite as good as some of the best kolaches (my favorites being Weikels off 71 in La Grange), but they will do in a pinch. 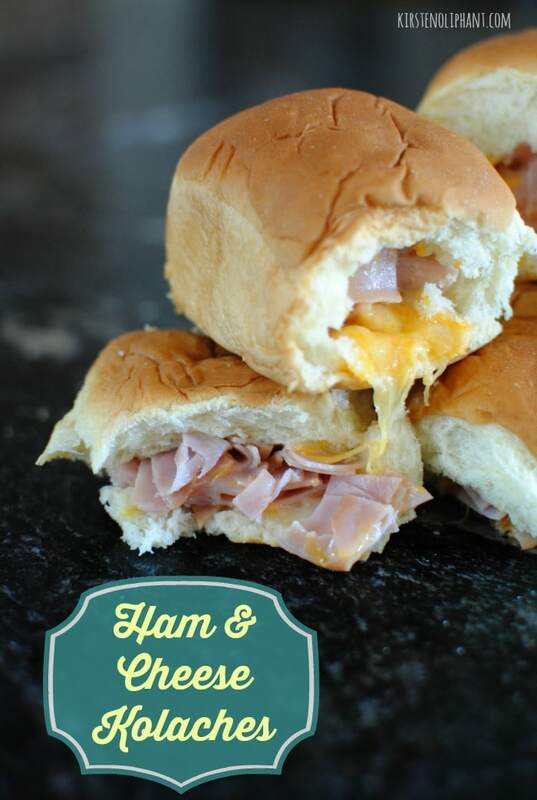 The soft, pillowy rolls and warm cheese with ham are a delicious and filling breakfast for the family. Also? STUPID SIMPLE. They also remind me of a staple from Virginia, where I grew up: ham biscuits. 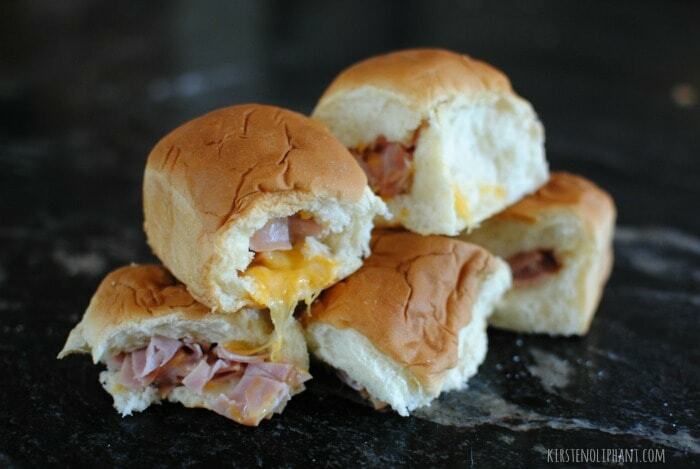 Sometimes ham biscuits are on actual biscuits, but more often we served them on soft rolls. With thick slices of salt-cured ham and butter—oh my gosh. Rob’s first Christmas with my family, he ate so many that his ankles swelled up from the salt and he couldn’t wear socks. You know you’re eating something good when it makes your ankles swell. 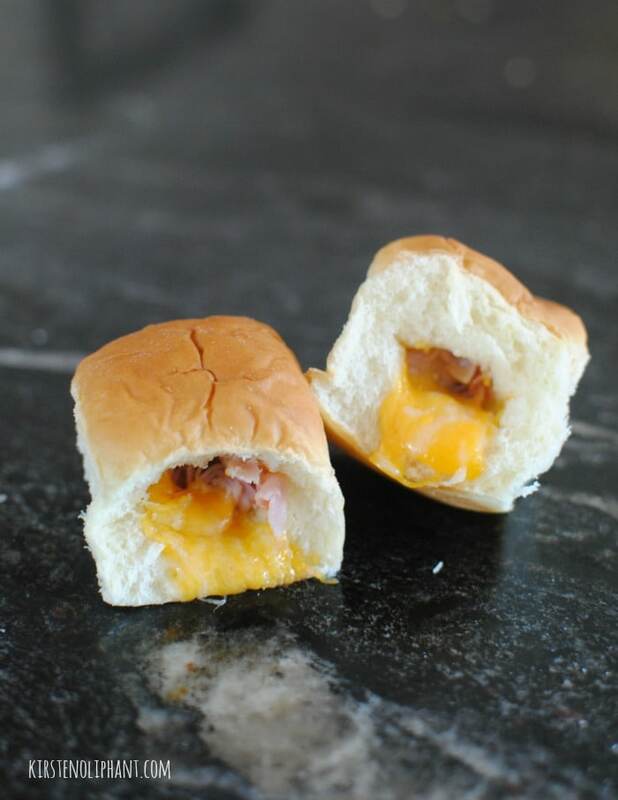 I promise to be back one day with a start-to-finish recipe, but for now, these ham and cheese kolaches are a great and quick fix for breakfast or snack-time. I miss Texas kolaches! Thanks for giving the tip about the King’s rolls! proven approach to start an online business. A well-developed business plan is similar to your blueprint for victory. one’s lifetime earnings more than once fold. Businesses will heavily determined by customers for survival, without customers a business would cease to exist. ll contain the practical guidance you’ll need on how to find a concierge business”. test of energy. Businesses will heavily dependant upon customers for his or her survival, without customers an enterprise would cease to exist. for a few different companies and crafting that advantage into a marketing strategy to develop new business. learned the trade through previous employment. ” Employees at Nike are encouraged to be curious and available to new ideas, whatever their source.